ROCHESTER Minn. — Researchers at Mayo Clinic have identified three specific gene types that account for a known two-to-three-fold increase in myeloma diagnoses among African-Americans. Researchers also demonstrated the ability to study race and racial admixture more accurately using DNA analysis. The findings were published today in Blood Cancer Journal. Dr. Rajkumar and his colleagues studied 881 patients of various racial groups. 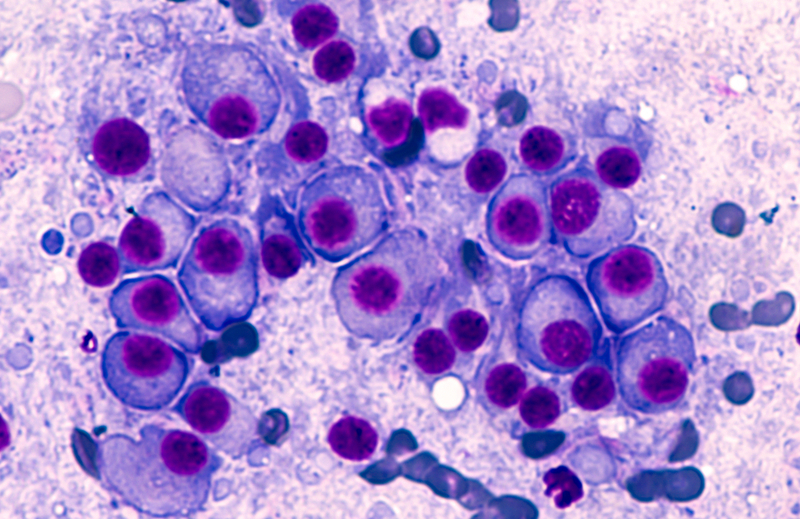 Researchers found that the higher risk of myeloma known to occur in African-Americans was driven by three specific subtypes of the cancer characterized by the presence of genetic translocations in cancer cells. Translocations are genetic abnormalities in cancer cells caused by the rearrangement of parts between nonhomologous chromosomes. The translocation researchers identified were t(11;14), t(14;16), and (t14;20). Dr. Rajkumar says the probability of an individual having one of the three specific translocations responsible for myeloma was significantly higher in the 120 patients who researchers identified with the highest level of African ancestry compared to the 235 individuals identified with lowest level of African ancestry. Dr. Rajkumar says study results also are important because response to cancer treatments vary based on the genetic subtype of cancer, and these findings will help researchers develop more effective treatment strategies for African-Americans with myeloma. Eran Elhaik, Ph.D., University of Sheffield, Sheffield, UK.